Single cutaway Gibson ES-125 C from 1964. 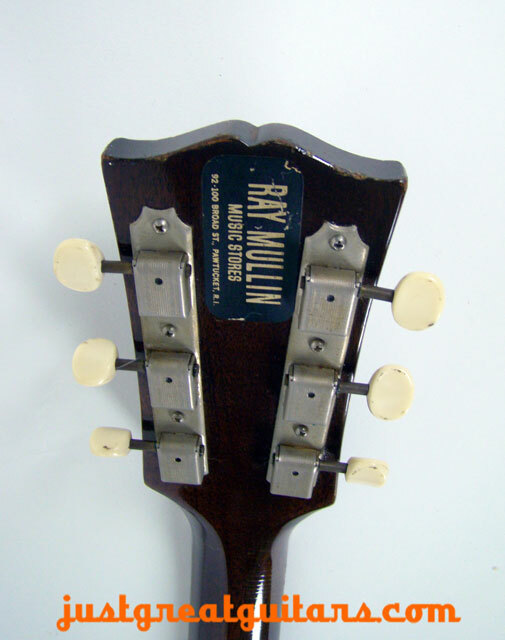 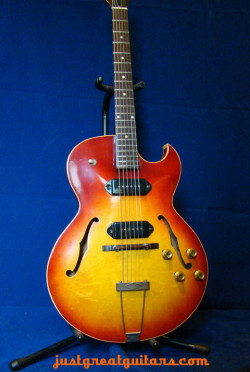 Single P-90 pickup, Single cutaway with dual f-holes. 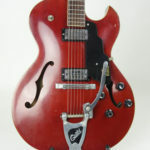 The ES-125 C was actually built in relatively limited numbers until 1970 and it therefore makes it one of the rarer post-war Gibson archtops and now highly sought after by players and collectors alike. 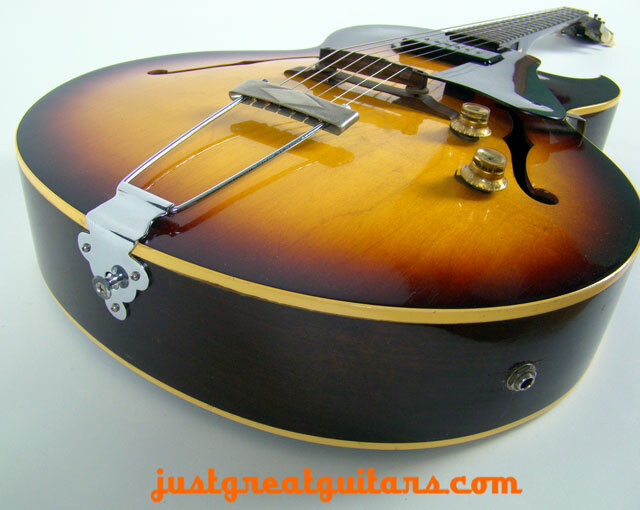 Even acoustically, this guitar just oozes quality and the craftsmanship is excellent with the curvacious maple top and sides alongside the great playing mahogany/rosewood neck. 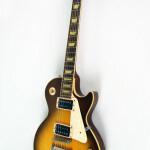 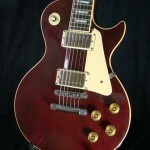 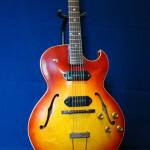 You also get all the classic P-90 goodness too from the single neck position single coil pickup. 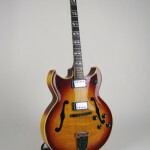 The laminated body offers superior feedback resistance, and the guitar also produces a very respectable acoustic tone for playing unplugged. 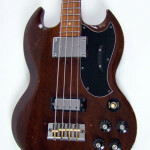 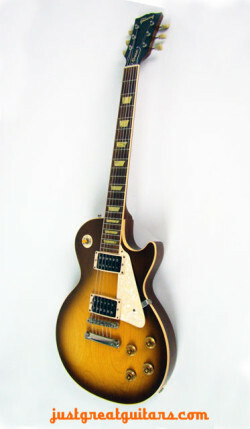 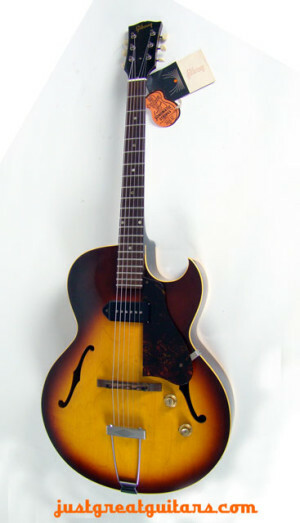 Gibson introduced this particular model of the ES-125 in part as a response to the (then) growing demand for cutaway guitars and it features the same full depth body as the famous ES-175 guitar. 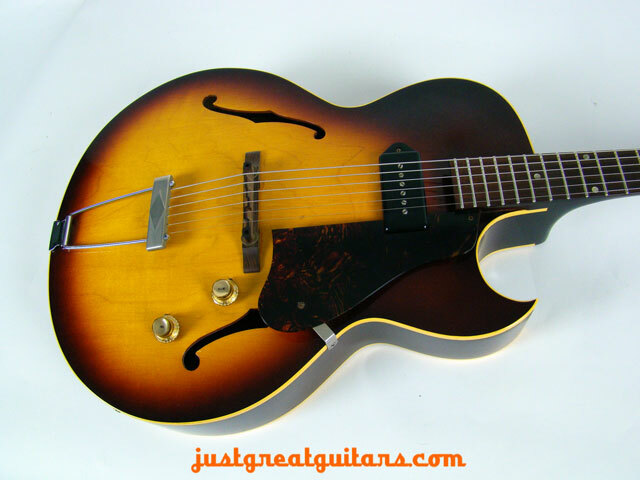 The Gibson ES-125 C was actually built in relatively limited numbers until 1970 and it therefore makes it one of the rarer post-war Gibson archtops and highly sought after by players and collectors alike. 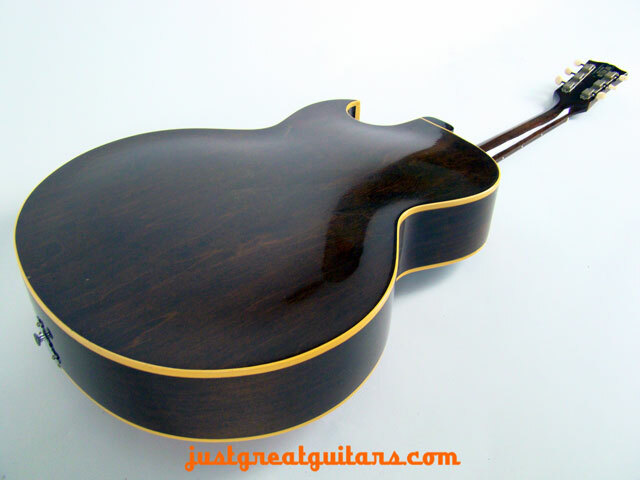 Even acoustically, this guitar just oozes quality and the craftsmanship is excellent with the curvacious maple top and sides alongside the great playing mahogany/rosewood neck. 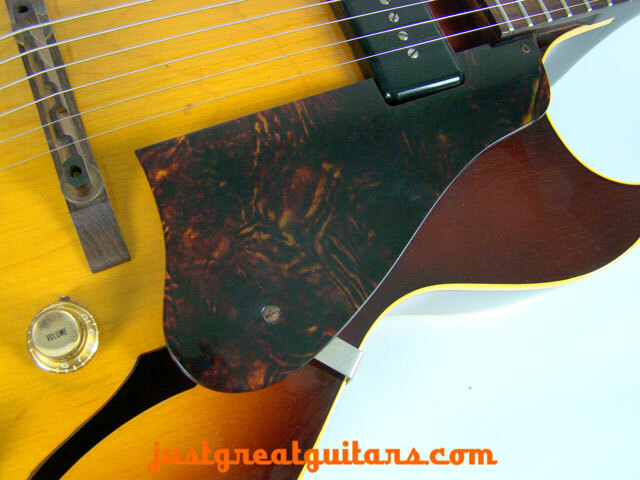 The laminated body offers superior feedback resistance, and the guitar produces a very respectable acoustic tone for playing unplugged. 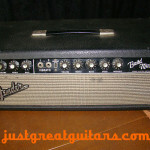 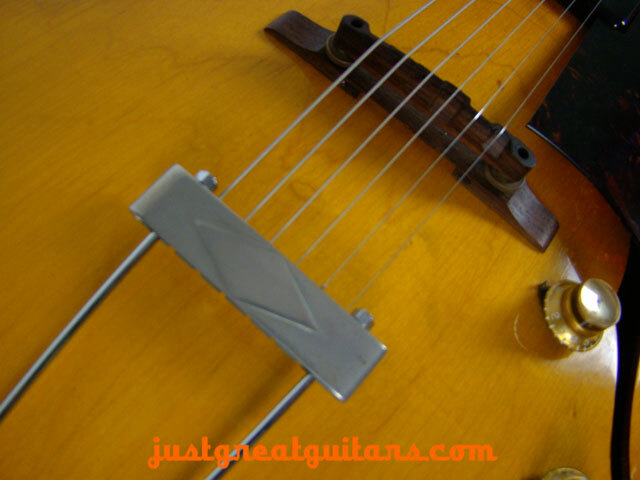 With the guitar plugged in to a good quality valve combo you can immediately hear all the classic P-90 tones and there is a surprising variety of them, making this a versatile guitar for a number of musical styles. 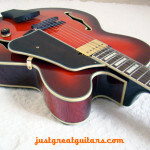 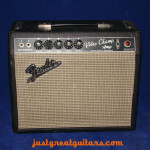 Blues and Jazz players especially will adore this guitar. 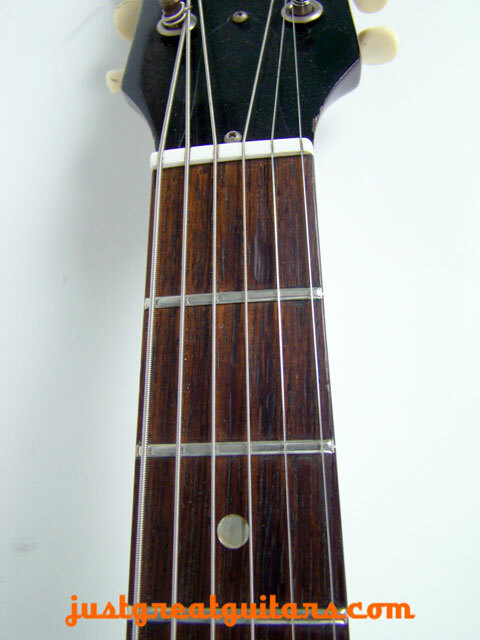 Access to the upper frets is very comfortable via the single cutaway and the bigger body depth really helps with added bass response and articulation on the lower strings. 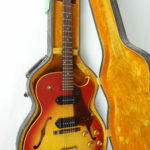 This guitar is in very good condition and has clearly been well cared for over the years with only minor cosmetic marking.